Is Justice as Fairness a Religious View? What's So Post about the Post-Secular? Can Deliberative Mini-Publics Overcome the Anti-Deliberative Effects of Framing? "Ein Aufruf: Europa neu begründen!" Among the supporters of the proclamation are Jürgen Habermas, Rudolf Hickel, Karl Georg Zinn, and Gustav Horn. Videos at "You Tube" of lectures from the international symposium on "Liberal Democracy in Hard Times: Transitions, Dilemmas, and Innovations" - a symposium at the Hertie School of Governance, Berlin, March 22, 2012, to honour Professor Claus Offe and celebrate his prominent academic career. Micha Brumlik - "Sich im Unbehaglichen einrichten"
Christian Surrey - "Habermas lockt hunderte Zuhörer an"
Petra Kappe - "Da scheitert jeder Gedanke an Revolution"
Michael Stallknecht - "Es ist ja doch egal, was Marx so wollte"
Peter Leusch - "Kapitalismuskritik in der Diskussion"
"Wer definiert die Spielregeln in unserer Demokratie?" "Gegen die Verzweiflung anzudenken ist eine Verpflichtung"
"Idiosyncrasy as a Tool of Knowledge: Social Criticism in the Age of the Normalized Intellectual"
The essay has been published in Axel Honneth's "Pathologies of Reason. On the Legacy of Critical Theory" (Columbia University Press, 2009). It is a comment on Michael Walzer's preface to the second edition of his "The Company of Critics" (Basic Books, 2002). Axel Honneth is Professor of Social Philosophy at the Goethe University Frankfurt and Professor of the Humanities at Columbia University. "Rights, Harms, and Duties: A Response to Justice for Hedgehogs"
(Published in "Boston University Law Review", vol. 90 no. 2 (April 2010)). The author responds to the three jurisprudential positions that Ronald Dworkin discusses in his book - albeit briefly - so as to integrate them into his hedgehoggian program. The first is that we should think of rights as political trumps, such that the individual liberty protected by the right, and hence the behavior protected by the right, trumps in importance and in effect, both in law and in popular imaginings, the various collective goals with which the right might be in conflict. Second, we should think about our collective life, and the principles that should guide it, through the lens of the rights of individuals understood capaciously. Rights may be positive or negative, legal, constitutional, political, institutional, or moral, and might have either libertarian and regressive or egalitarian and redistributive consequences. Regardless, we should think about our collective life through the lens of individual rights rather than through the lens of the moral duty of legislators, state actors, lawmakers, or, simply, sovereigns, to make good law in the interest of the governed: the duty of lawmakers to exercise their lawmaking power in morally responsible or virtuous ways. Rights of citizens, not the moral duties of lawmakers, should guide our thinking in both politics and law. Third, the political principles that should inform our law are those which require us collectively to respect the rights of individuals to decide for themselves on the content of a good life, and do not permit or require us to collectively make those decisions and impose them on individuals through law. To live well, we must each decide for ourselves what it is to live a good life. Government must protect the individual latitude we need to live well, and that includes refraining from dictating or legislating on the basis of any state-generated understanding of the content of the good life. Robin L. West is a Professor of Law and Philosophy at Georgetown University Law Center, Washington DC. She is the author of "Normative Jurisprudence: An Introduction" (Cambridge University Press 2011). "Liberal Democracy in Hard Times: Transitions, Dilemmas, and Innovations" is the theme of the international symposium that is hosted by the Hertie School of Governance in Berlin on March 22, 2012, to honour Professor Claus Offe and celebrate his prominent academic career. The latest issue of the The Journal of Political Philosophy (vol. 20 no. 1, 2012) is free online. "The proper institutionalization of the ideal of deliberative democracy remains a contested issue. Whereas discourse theory conjures up the ideal of democracy as based on face-to-face interactions - modeled for instance in terms of an ideal speech situation which is inclusive, symmetrical and free from power - it is clear that this ideal cannot be realized in any straight-forward manner in the complex, large-scale and increasingly globalized societies of today. Consequently, alternative ways of realizing in practice the promise of a more radical and deliberative democracy have to be devised." [....] "the present analysis of representative politics does not aim to discredit the use of fora or networks as such. It aims, rather, to provide a critical rejoinder to theorists who focus one-sidedly on fora and networks and downplay the role of representative institutions in their deliberative designs or dispense with them altogether." Stefan Rummens is Associate Professor of Philosophy, Centre for Ethics, Social and Political Philosophy, University of Leuven, Belgium. After 49 years of service to Harvard Law School, Professor Frank I. Michelman retires in order to devote more time to his writing. On February 10-11, 2012, a symposium was held in honor of Frank I. Michelman at the Harvard Law School. See videos of the panels on "Comparative Constitutional Law" and "Law and Philosophy" here. "Zu einer Kritik der rechtfertigenden Vernunft"
"Die Normativität der Sittlichkeit. Institutionelle Grundlagen von Autonomie"
"Ein Dialog zwischen Aristoteles und Kant über die Grundlagen der Moral"
"Praktische Vernunft, Diskurs und Gewissen"
"Gesetz und Freiheit. Überlegungen im Anschluss an Hegel"
Papers on "Law and Morality: The Perspective of Robert Alexy"
Papers from the seminar "Law and Morality: The Perspective of Robert Alexy", held on November 12, 2010, at the Bologna University School of Law. See my post on a recent book of essays on the jurisprudence of Robert Alexy: "Institutionalized Reason" (Oxford University Press, 2012). Apels Impulse für die Entwicklung der Philosophie in Deutschland nach dem Zweiten Weltkrieg sind unschätzbar: Als Pionier des linguistic turn hat er Heideggers Existenzialanalytik verarbeitet, die philosophische Hermeneutik von Dilthey bis Gadamer und den sprachspielanalytischen Ansatz des späten Wittgenstein, und hier ist ihm der amerikanische Pragmatismus, besonders der des Zeichentheoretikers C. S. Peirce, hilfreicher als der überkommene Idealismus Kants. [....] In seiner wichtigsten Aufsatzsammlung, Diskurs und Verantwortung, zieht Apel die Konsequenzen für die Politik- und Moralphilosophie. Er kritisiert Postmodernisten und Dekonstruktivisten, Rorty, Vattimo, Derrida und Lyotard, aber auch Jürgen Habermas, dem er »Verklärung der Lebenswelt« und die Banalisierung des Begründungsdenkens vorwirft: mithin eine Vernunftkritik, die die Macht der Vernunft unnötigerweise schwächer erscheinen lässt, als sie ist. See Karl-Otto Apel's personal website here. Matthias Kettner is Professor of Philosophy at Witten/Herdecke University, Germany. He is co-editor of "Zur Anwendung der Diskursethik in Politik, Recht und Wissenschaft" (Suhrkamp Verlag, 1992), "Transzendentalpragmatik: Ein Symposion für Karl-Otto Apel" (Suhrkamp Verlag, 1993), and "Reflexion und Verantwortung: Auseinandersetzungen mit Karl-Otto Apel" (Suhrkamp Verlag, 2003). 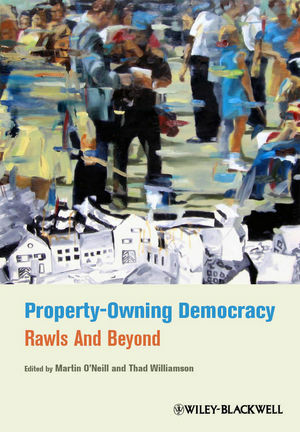 Property-Owning Democracy: Rawls and Beyond features a collection of original essays that represent the first extended treatment of political philosopher John Rawls' idea of a property-owning democracy. Martin O'Neill is Lecturer in Moral and Political Philosophy in the Department of Politics at the University of York. Thad Williamson is Associate Professor of Leadership Studies and Philosophy, Politics, Economics and Law, University of Richmond. "Property-Owning Democracy and the Demands of Justice" (2009, pdf). "Bringing the Integration of Citizens into line with the Integration of States"
“More Europe” is the correct answer to a crisis which has brought to light a construction flaw of the European Monetary Union. The political decision-making capability required to offset the economic imbalances that have arisen in the euro zone is lacking. The necessary convergence among the national economic developments that are drifting apart can be brought about in the longer term only by cooperation within the framework of a democratically organized community of joint liability in which certain forms of redistribution across national borders are also accepted as legitimate. The Fiscal Compact represents a first step in this direction. [.....] what Merkel and Sarkozy envisage is in essence an intergovernmental form of cooperation, that is, a politically inconspicuous step toward further integration of the states, not of the citizens. The heads of state of the seventeen euro countries assembled in the European Council are supposed to remain firmly in control. In pursuing this course, however, they would be equipped with competences of economic governance that annul the budgetary prerogative of the national parliaments. We would then have to reckon with a post-democratic empowerment of the executive on an unprecedented scale. The unavoidable protest of the parliaments stripped of their powers will at least reveal the gap in legitimation that can be closed only through democratic reform of the interplay among the EU bodies. This volume gathers leading figures from legal philosophy and constitutional theory to offer a critical examination of the work of Robert Alexy. The contributions explore the issues surrounding the complex relations between rights, law, and morality and reflect on Alexy's distinctive work on these issues. 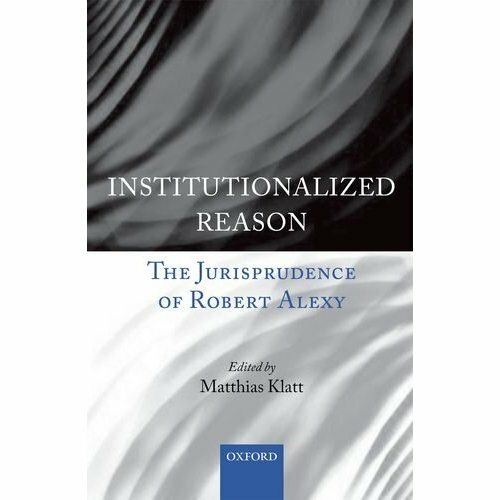 The focus across the contributions is on Alexy's main pre-occupations - his anti-positivist views on the nature of law, his approach to the nature of legal reasoning, and his understanding of constitutional rights as legal principles. In an extended response to the contributions in the volume, Alexy develops his views on these central issues. The contributions are based on papers presented at a symposium at Oxford University in September 2008. 4. Stanley L. Paulson - A 'Justified Normativity' Thesis in Hans Kelsen's Pure Theory of Law? Matthias Klatt is a Professor of Public Law at the University of Hamburg, Germany. He is the author of "Making the Law Explicit. The Normativity of Legal Argumentation" (Hart Publishing, 2008). "For Rawls, there is an important difference between competing forms of regimes and what he calls a ‘property-owning democracy’ and ‘liberal socialism’. This difference includes that only the latter best guarantees principles of justice and satisfy the criterion of reciprocity. In this article, I will focus on the importance of reciprocity for this account and what it reveals about the citizens found in property-owning democracies and liberal socialist regimes. These regimes do not merely correctly recognize and uphold the importance of central principles of justice, but they also correctly recognize each other in an identity-forming way. These citizens mutually recognize one another as free and equal, but also they identify with others in a common bond of citizenship. Rawlsian justice is more than about principles and reciprocity, but it is also about mutual recognition and shared identity. This becomes clearer when we look to the reasons why Rawls favours some regimes over others." Thom Brooks is a Reader in Political and Legal Philosophy at Newcastle University. He is the author of "Hegel’s Political Philosophy" (Edinburgh University Press, 2007) and the co-editor (with Fabian Freyenhagen) of "The Legacy of John Rawls" (Continuum, 2005). He runs a blog: "The Brooks Blog". In an open letter addressed to the members of the UN Security Council, a group of 43 intellectuals and former statesmen urge UN Security Council to revoke Assad’s licence to kill. 1. Calling on the Syrian authorities to cease all unlawful attacks against its population immediately, remove abusive military and security forces from cities and inhabited areas, guarantee peaceful protests do not come under attack and release all political prisoners and those held under arbitrary arrest from the beginning of the uprising to the present day. All other actors should also immediately cease all use of violence. The letter is signed by 43 intellectuals and former statesmen, including Kwame Anthony Appiah, Fernando Henrique Cardoso, Hans van den Broek, Umberto Eco, Jürgen Habermas, David Miliband, Peter Singer, and Richard von Weizsäcker.